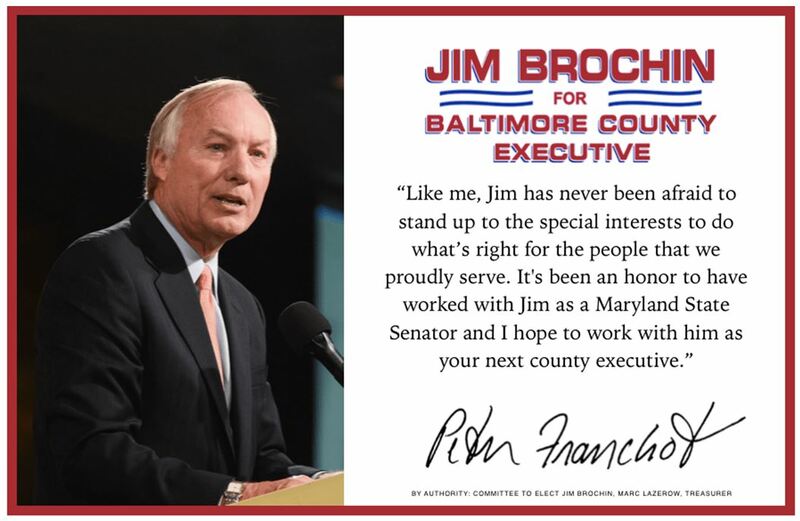 Maryland State Comptroller Peter Franchot has endorsed Democratic Senator Jim Brochin for Baltimore County Executive. “As you prepare to head to the polls and vote in the upcoming primary election, I wanted to share with you the reasons why I’m supporting Senator Jim Brochin to be the next Baltimore County Executive,” the Comptroller said in a press release. worked to advance fiscal policies that help working families and small businesses that are the foundation of Maryland’s economy. “It’s been an honor to have worked with Jim as a Maryland State Senator and I hope to work with him as your next county executive,” Franchot said.